Egg Hunt! Come out to Crooked River State Park on Apr 3 at 8PM for the littles egg hunt & stick around for the Flashlight Family Egg Hunt. Limited Participation, so get your wristband early! Egg Hunt! Ages 1-10, Bring your flashlights for the first-ever nighttime egg hunt at Little Ocmulgee State Park on Apr 3 & 4 at 8PM. Egg Hunt! Kids, bring your own baskets and hunt for eggs at AH Stephens State Park from 10AM-12PM on April 4. Egg Hunt! 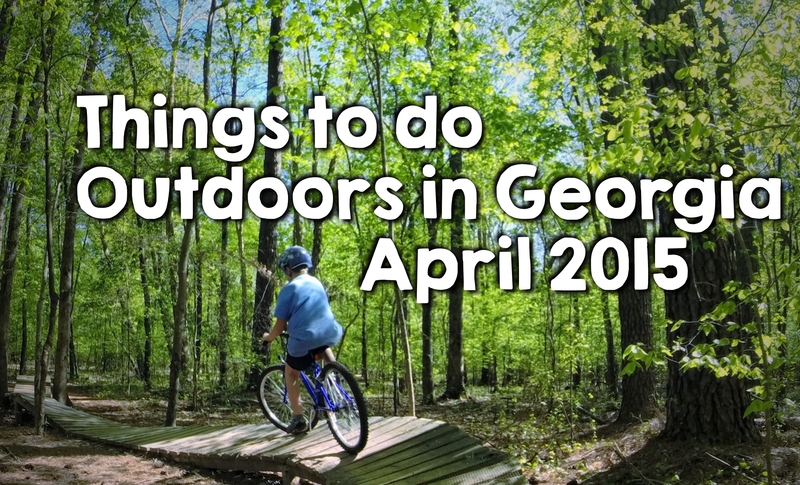 Easter is eggs-citing at Chattahoochee Bend State Park on April 4. Meet the Easter Bunny & hunt eggs at 1PM. Reservations are recommended. Egg Hunt! Children ages 2-12, come out and hunt for prize & candy-filled eggs at Florence Marina State Park. Festivities start at 10AM with craft show, boat rides and live entertainment. Egg hunt at 1PM. Egg Hunt! Come out to High Falls State Park for a Glow-in-the-dark easter egg hunt on Apr 4. The hunt begins at 7PM. Space is limited and reservations are recommended. Egg Hunt! The annual egg hunt at Reed Bingham State Park begins at 2PM on Apr 4 at the Mini Golf Course. Separate egg hunts for different age groups thanks to Friends of Reed Bingham State Park. Egg Hunt & Festival! Skidaway Island State Park hosts Easter Blast, a fun-filled day for the whole family. Enjoy egg hunts, hayrides, fun and games. Apr 4. Egg hunt at 1PM. Easter Sunrise Service! Beautiful, non-denominational Easter sunrise service overlooking Robin Lake at Callaway Gardens. 7AM on Apr 5. Easter Sunrise Service! Experience Stone Mountain’s Easter Sunrise Service at the top of Stone Mountain or on the memorial lawn. 7AM on Apr 5. Egg Hunt! Easter egg hunting begins at 1PM on Apr 5 at Roosevelt’s Little White House Historic Site.